There are films slumbering in an archive somewhere, waiting to be discovered. And there are films that have sunk into oblivion but then suddenly pop up again, in the form of a soundtrack. 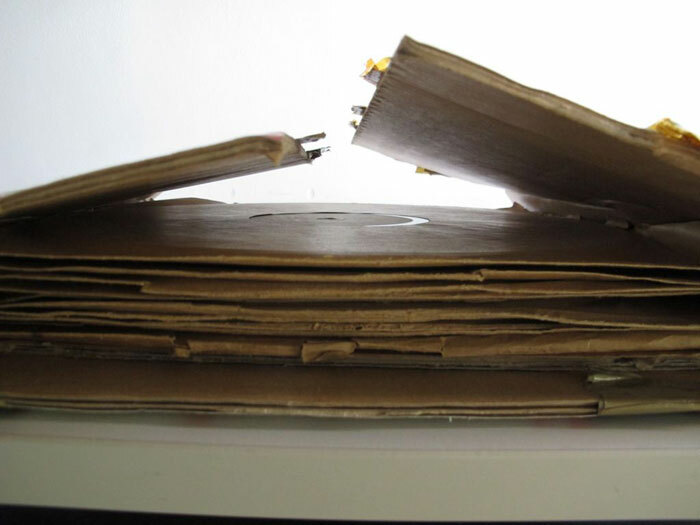 Recently, when stock was being moved to another depot, our colleague Regina Wellen looked over the collection of 78rpm schellac records with a view to devising a new way of storing them. She thereby came across eleven not yet inventoried records, much larger than the usual sort and with a label suggestive of some other purpose than easy listening on the home gramophone. 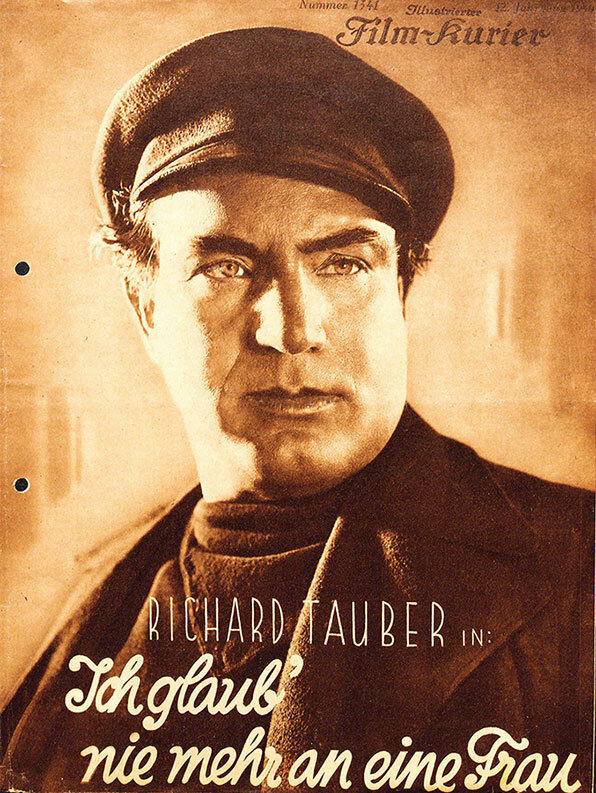 Luckily for us, Regina was quickly able to establish that these were examples of the sound-on-disc recordings played in cinemas as an accompaniment to screenings of otherwise silent films—synchronously, thanks to the built-in start signal. One of the twenty numbered boxes on each label used to be checked after each screening, so as to ensure that a worn-out record would be replaced in good time. 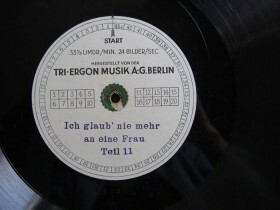 After Regina had dry-cleaned the records and prepared appropriate packaging for them, she set about digitizing their content under the supervision of Nadja Wallaszkovits of the Austrian Audiovisual Research Archive in Vienna—this latter task as part of her Bachelors degree course at the Berlin University of Applied Sciences. When Regina brought me the digitized film recording in various formats (which will facilitate audio restoration at a later date) for storage in the media archive, we thought about how best to archive it, long term, and also about how to ensure that the sound-on-disc recording could be easily traced if ever the film footage were found. We decided to hand over a copy of the digitized recording to the Deutsche Kinemathek. But what is a film without images? Well, you can enjoy at least a taste of how the film sounds, here, or come and listen to the complete soundtrack in the Reading Room of the Academy—and leave the images to your mind’s eye. Richard Tauber, Paul Hörbiger, Werner Fuetterer are speaking. This is the first dialog after the intro and some indistinct voices. Then Tauber sings “Übers Meer grüß ich dich, Heimatland” (Homeland, I greet you from overseas); lyrics by Fritz Rotter. Tracing the provenance of the artifacts held in our archive is another part of our work—yet we are unable to say with any certainty where the eleven sound-on-disc recordings come from. The Jewish Museum Berlin either acquired them in 1999 as part of an extensive package of over three hundred Richard Tauber schellac records or they somehow mysteriously made their way from the Tri-Ergon Company at Ritterstraße 43 to us here, at Lindenstraße 9-14: a distance as the crow flies of only 250 meters.